Nikko Lynn Crum of Warsaw, Indiana passed away at her residence at 3:37 a.m. on Monday, April 15, 2019 at the age of 65. She was born on November 15, 1953 in Alameda County, California to Inge Erika (Elkelman) Walker and William Maxon Walker. On October 28, 1978 she was married to Robert Leroy Crum, he passed away on October 14, 1995. Nikko attended two years of college in Alameda, California, she worked as a nurse’s aid and as an ambulance medic. She was a past member of the Pierceton Lions Club, and was a member of Abundant Life Assembly of God in Warsaw. She loved Jesus and one of the highlights of her life was being able to experience going to Israel. 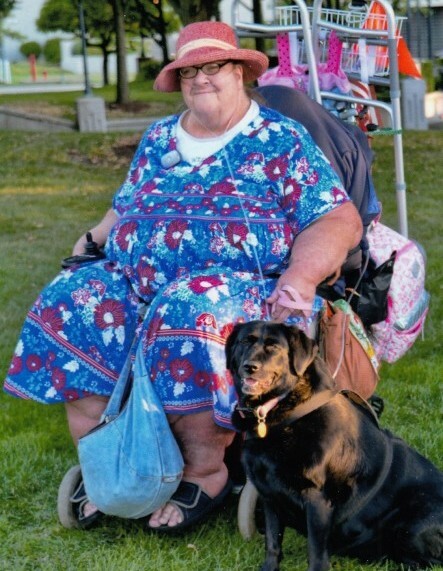 She leaves behind her sister: Shirley Kay Dickens (California); half-sister: Joyce Rose (California); and also her beloved service dog, Suzie. She was preceded in death by her parents, husband, two brothers, Vernon Walker and Steve Walker, and her dog, Goldie who died eight years ago. Her committal service will take place at 12:00 noon on Wednesday, April 17, 2019 in the Chapel of Oakwood Cemetery in Warsaw and officiated by Pastor Anthony Green. Arrangements were entrusted to Redpath-Fruth Funeral Home, 225 Argonne Road, Warsaw, Indiana.